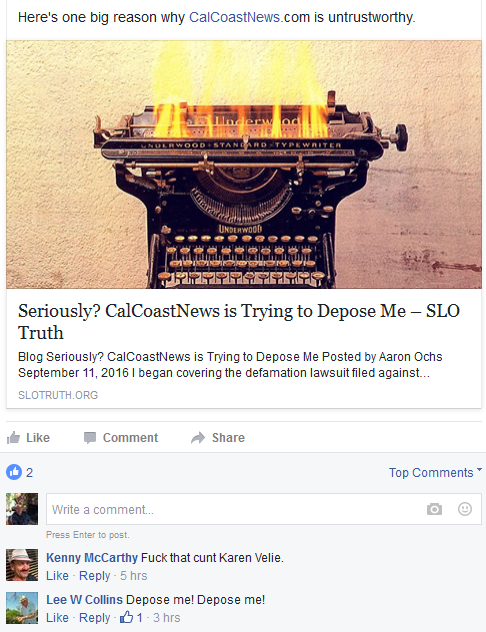 Update: Maria Kelly said Aaron Och’s allegation that she helped launch Cal Coast Fraud is false. Testimony in a libel suit has revealed that government officials or their significant others have shared information and participated in the online harassment of CalCoastNews reporters, their family members, friends, colleagues and acquaintances. Aaron Ochs, the operator of Cal Coast Fraud, testified in a deposition that he regularly converses with San Luis Obispo County Supervisor Adam Hill about CCN through Facebook messaging. In addition, Ochs said Oceano Community Services District Director Matt Guerrero, former Los Osos CSD Director Maria Kelly and Lynette Tornatsky, the wife of Los Osos CSD Director Lou Tornatsky, have provided content for the Facebook page which was created in an effort to get CCN to discontinue its reporting. Since its launch in early 2014, posters on Cal Coast Fraud have falsely referred to CCN staff and reporters as having been diagnosed with mental illness. Other posts have falsely claimed that CCN staff are felons. CCN staff have been called c***s and whores. And, at times, participants in Cal Coast Fraud have discussed physically harming reporters. On Tuesday, Ochs admitted under oath that his claims that CCN staff have been diagnosed with mental illness were not true or simply conjecture on his part. He also testified that his claims that CCN staff are felons were not true. His fraud claims were conjecture on his part. Ochs was asked for evidence he had that showed CCN reporters had been diagnosed with mental illnesses. Ochs said he had no documentation. But, Ochs noted, Supervisor Hill had referred to a CCN reporter as crazy. Ochs said he is aware that CCN reporters are not felons. Ochs has repeatedly claimed that CCN is being investigated for fraud. Ochs said the fraud investigation was one that he himself had mounted. He was investigating emotional fraud, Ochs said. Ochs complained about stories regarding “children.” In 2011, then Los Osos CSD Director Maria Kelly’s boyfriend’s son was arrested for felony DUI. Information from court records following the DUI exposed a possible conflict of interest for Kelly. Kelly’s board had negotiating with her boyfriend Paavo Ogren who then worked for the county. Ochs said Kelly helped launch Cal Coast Fraud after stepping down from the Los Osos CSD Board. 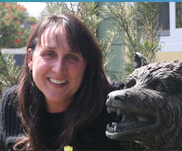 Maria Kelly said Och’s allegation that she helped launch Cal Coast Fraud is false. However, when asked if she provided any of the content, Kelly refused to answer. Within hours of the launch of Cal Coast Fraud, Hill was asking people to participate on the page that included posts claiming CCN reporters needed to lose court cases in order to protect the county from the stories CCN produces. Cal Coast Fraud regularly produces rhetoric supporting a lawsuit filed by Charles Tenborg filed against CCN. In text messages, Supervisor Hill has told CCN advertisers he is working with Tenborg to destroy CCN through the lawsuit. While Ochs and Hill have repeatedly made claims that support Tenborg’s case while claiming reporters lied, they have harassed CCN advertisers in what appears to be an attempt to put CCN out of business and keep it from being able to fund a proper legal defense. Because of this, CalCoastNews is seeking to raise money to pay for deposition expenses through the fundraising site GoFundMe. Hill is scheduled for a deposition next month. Ochs testified that Tenborg has asked him if he wanted to join in funding the lawsuit against CCN. “Ochs, through Facebook and several websites, has made numerous false claims alleging specific people are felons, or diagnosed mentally ill,” the Feb. 23, 2015 article says. An attorney firm shared by both Ochs and Tenborg, Kerr & Wagstaffe out of San Francisco, responded with the threat of another costly lawsuit if the story was not retracted. In the letter, the attorney claims Ochs had not written that reporters were felons or diagnosed mentally ill. Earlier this year, Ochs posted questions to be asked in admissions and depositions and the timing of the depositions before Tenborg’s attorneys had sent the material to CCN reporters and their attorneys. CCN’s attorneys asked who gave Ochs the deposition and admissions information. But, Ochs claimed he was protected by journalism shield laws, even though he admitted he was not a journalist. Ochs then refused to disclose his source. Attorneys for CCN told Ochs if he did not identify the source, they would ask a judge to compel him. Ochs then said, “Matt Guerrero.” Ochs went on to say that as an attorney Guerrero was able to get the information out of court records. However, information about admissions and depositions is not part of the court record and could not be found in court files. Guerrero, a candidate for a San Luis Obispo County Superior Court judgeship, said later that he had not provided Ochs any information about the Tenborg case. Guerrero also has participated in the online harassment of CCN. Shortly after the Cal Coast Fraud Facebook page was created, Guerrero was one of the first people to “like” the page. For months, he participated by giving “thumbs up” to degrading and defamatory posts on Cal Coast Fraud. CCN reported several times on financial irregularities involving Oceano CSD district managers who Guerrero voted to hire. In all, three managers have been terminated for overpaying themselves with district funds. Before filing the lawsuit against CCN, Tenborg said he discussed his plan with both supervisors Hill and Bruce Gibson. Tenborg was questioned about his communication with Hill. Asked when he last spoke to Hill, Tenborg said it had been about a year and a half ago, but then disclosed they had last exchanged emails just several days earlier. Even so, Tenborg said he had not shared inside information about the timing for depositions or the questions to be asked with anyone. Following is an Aaron Ochs Facebook post with two loyal followers, including Lee Collins, the director of San Luis Obispo County’s Department of Social Services. Cyber bullying of female journalists has increased along with participation in Twitter, Facebook and Topix. Of female journalists polled, almost two-thirds have experienced intimidation, threats or abuse in relation to their work, according to the International Women’s Media Foundation and the International News Safety Institute, December 2013. God, I miss the late, GREAT, and brilliant, Ann Calhoun (like, on a daily basis, and it’s been over a year since her death). After you read her brilliant post (oh, and Tenborg, Hill, etc.? Ya’all shoulda paid very close attention to Ann’s excellent, and sage advice… from 20-friggin’-13), be sure to also read her comments below her main piece. Oh lord, they’re great. She’s so funny. SO smart. Above are quotes from a long complaint 200+ words posted ‘ May 5 at 10:43-am ‘ So during a work day as a “community relations representative” Classy, glad I took screen shots. The rats will be jumping ship as quickly as they all once climbed onboard Och’s crazy ship. Will Caren Ray post any of Russom’s Midstate Scare rants against Cal Coast News to her FB page or does she reserve that honor for Mary Lucey? Always interesting to take a screen shot of those who like those comments too, helloooo Kristen Barneich! 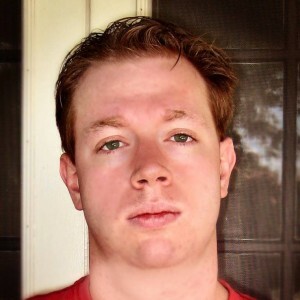 AARON OCHS IS A LIAR—AARON OCHS IS A LIAR—AARON OCHS IS A LIAR—AARON OCHS IS A LIAR—AARON OCHS IS A LIAR—AARON OCHS IS A LIAR—AARON OCHS IS A LIAR………. That’s the short version. See the facts below (oops facts–Aaron I didn’t mean to use a word unfamiliar to you). The rats are jumping ship. 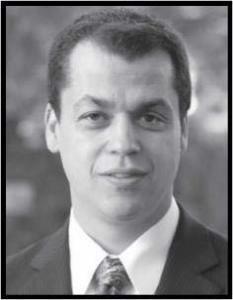 Matt Guerrero appears to be claiming Aaron Ochs is a liar who is unable to discern fact from fiction. Or is Matt trying to hide his involvement in an attempt to secure his bid to become a judge. What a group of sexist lowlifes to participate in the online degradation of women in an attempt to hide their own failures. Aaron, go get a real job, your daddy will not be around forever to make you feel important forever. You are an uneducated young man who dreams of fame. Very sad, but you made your own bed. You claim on Facebook that CCN writes about you all the time, an obsession you claim. What have there been, maybe two stories about your constant lies. Are you delusional or do you realize you are lying? Meanwhile, as an obsessive sicko, you have written about CCN reporters or anyone who comments on their site almost daily for years. But you claim they are after your family. And by family, even though you are in your 30s, you have never left mommy and daddy’s home. There is not one online post by CalCoastNews reporters about your father or mother. You on the other hand are obsessed with posting pictures of reporters’ children with your usually fabricated claims. In the end, I bet everyone throws you under the bus as they try to distance themselves from your delusions. Do you mean like how Aaron Ochs Call’s CalCoastNews Terrorists? That sort of Lie?